To decide to bicycle, people need biking to be safe and convenient. They need access to a bicycle, and they won’t bike unless it seems like something normal and worthwhile. 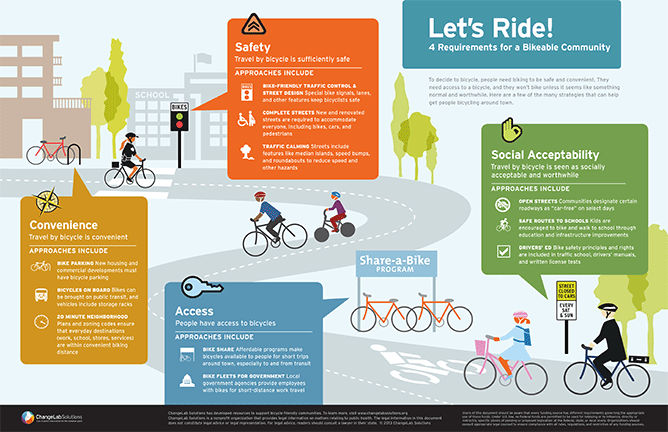 ChangeLab Solutions developed this infographic to outline a few of the many strategies that can help get people bicycling around town.